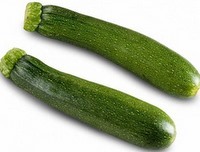 Zucchini bread recipe or also known as courgette loaf is more popular in the USA, than else where (I think). It is a delicious, easy and in a way a healthy recipe, especially for children who fuss about the vegetables. You see that is the fun in baking with vegetables, you feel you are making something tasty and nutritious. In all honesty, this might not be the utmost healthy recipe (because of the oil) but it is a much better bet than having a slice of a packed cake from the super market, full of trans fats and preservatives and God knows what else. This courgette bread has a moist and spicy taste to it. You will definitely like this one. Coarsely grate the zucchini and put in a sieve. Press with the back of a spoon or your hand, to drain out as much water as possible. It is important to drain it thoroughly. Beat the eggs until light. Add the oil,sugar, essence and zucchini. Mix until all combines. Sift the dry ingredients and make a well in the center. Gradually add the egg mixture in this well and mix thoroughly. Lastly add the walnut pieces and mix again. Pour this in a greased loaf tin (1 Kg) and bake in a preheated oven at 180°C for about 45-50 minutes until firm. Cool on a wire rack.